This guide will lead you through the main SEO activities to help you efficiently organize your SEO process and achieve top rankings that will generate more sales. The checklist is meant for WebMeUp users, so it tells where to find or enter data in the WebMeUp SEO software. 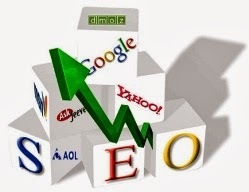 However the SEO advice you get here will certainly help even if you’re not using WebMeUp yet. After completing each step, you can tick the appropriate checkbox. This will help you see the overall optimization progress of your project. Creative Commons License Attribution Noncommercial Share Alike 3.0. Awesome Inc. theme. Theme images by Jason Morrow. Powered by Blogger.